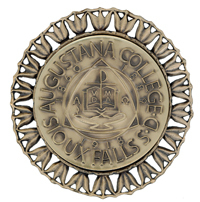 The Medallion Events listed here highlighted the special events that took place during the 2010-2011 academic year recognizing students, professors, alumni, donors and special friends of the College during our Sesquicentennial year. We hope you enjoyed the celebration! 4-10 – Happy Viking Days 2010: These days are yours and mine! Registration for class reunions will begin July 1. Tickets are on sale at www.ticketmaster.com and at the Fitzgerald Theatre Box Office. 9-10 – Granskou Project: Holy Week Cantata "Surely He Has Borne ..."